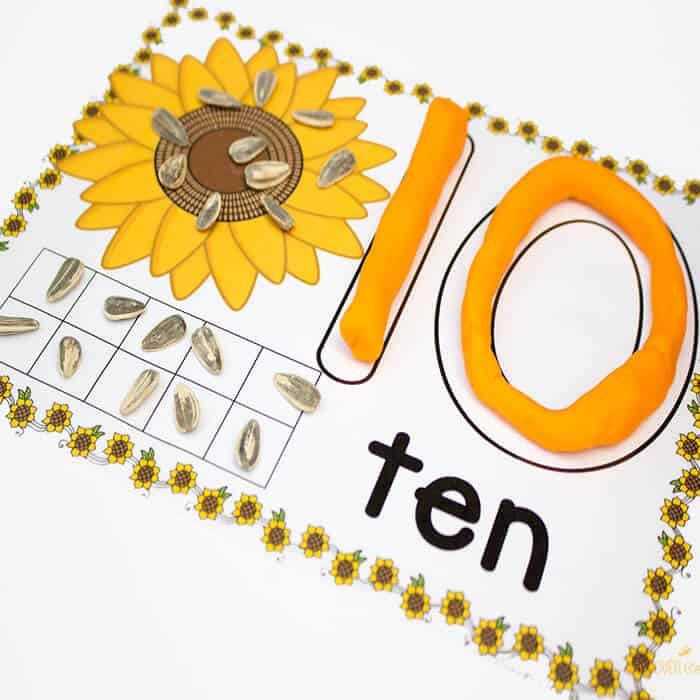 Yesterday, I shared the sunflower play dough mats for numbers 1-10. 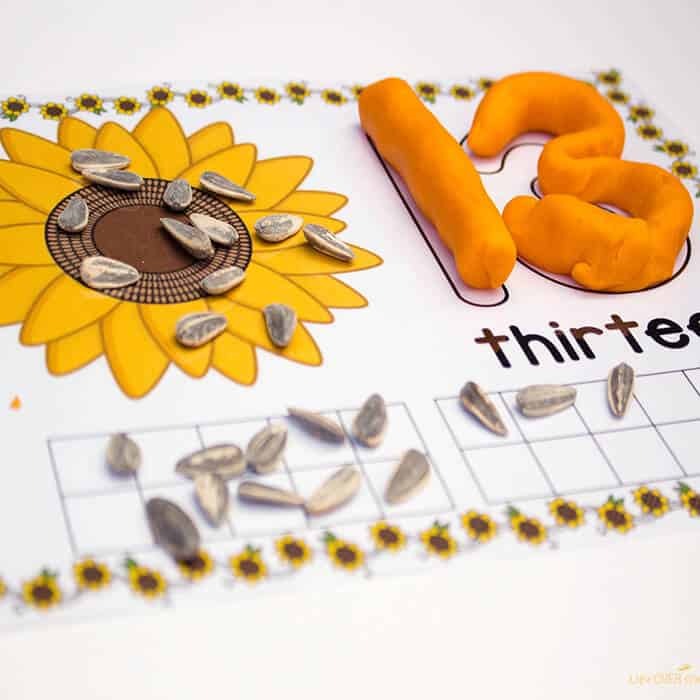 These free sunflower play dough mats for numbers 11-20 are the next step in counting fun! Along with our other fun fall play dough mats for counting, you can have quite the collection to keep your kids interested in counting! You can see the full list of counting mats at the end of this post. Pick your favorite or download & use them all like we have done! To prep: Print and laminate the pirate play dough mats. 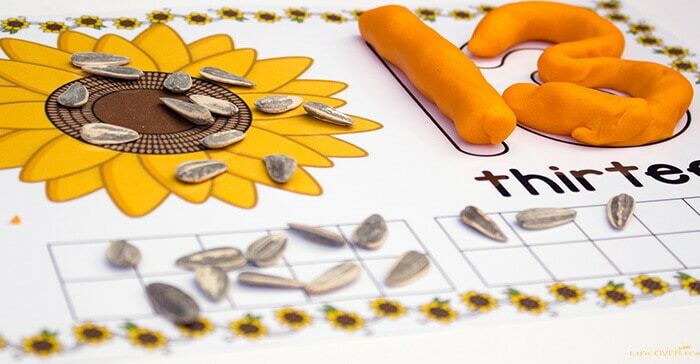 To use: We used the sunflower seeds to count out the number on the sunflower and then again in the ten-frames at the bottom of the mat. You can spell out the number word with your child and/or have them trace the letters with their finger. Then create the numeral with play dough, trace with their fingers or a dry erase crayon. There are so many ways that you can use them! 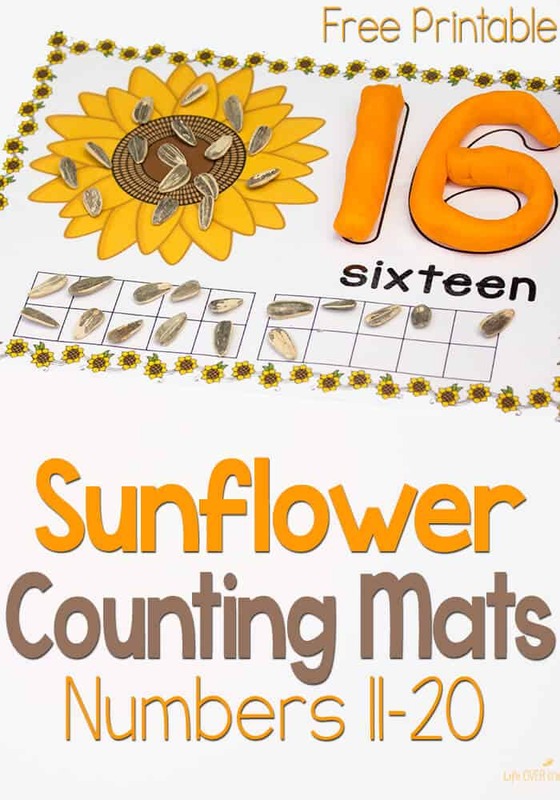 Get the Sunflower Play Dough Mats for numbers 1-10 here. These are perfect for our Reception children. They love using play dough, and we have just introduced them to the tens frames. What a fabulous resource and incorporates all the important aspects of learning about ‘Number’. Thank you!